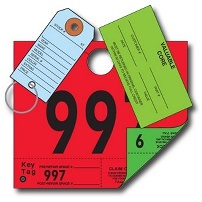 Uses for tags and labels within the Agriculture Industry are extensive and diverse. Whether you need the versatility of a blank row marker or if you want a printed bag tag with your company logo, we can help. If you need your plot or row specific information printed, send us your excel file with your information. Also, ask about our ever-popular biodegradable material. Within the Agricultural Industry we also work with nurseries, tree farms and growers worldwide. Where can you get those oversized sale tags? We can do those for you. Need to keep track of the keys to a lot full of cars? 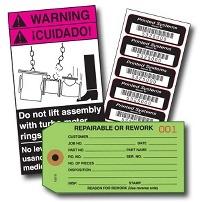 We offer a variety of key tag styles. And what about tracking repairs, parts, cores or warranties? We can create a tag or label that will work for that too. The Financial Industry includes many other businesses besides banks. Many of the same tags and labels apply to casinos, hotels, stores, and attractions. Anywhere money needs to be tracked, transactions need to be monitored, or members need to be identified, we can provide a tag or label. 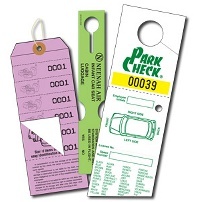 Both Education and Government agencies utilize tags and labels for keeping track of people, property and services. 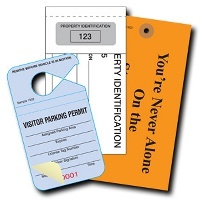 A campus often uses tags for student identification, campus bus tours and special events, or security needs such as parking permits or notices. Municipalities often need to track the collection, removal or recycling of waste, record information for licenses, violations and other public services. 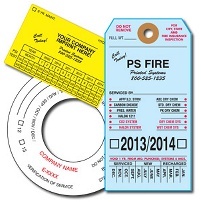 We can also help create tags and labels for the ever-necessary emergency services. 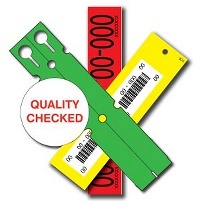 Whether you need a fire tag, inspection label or extinguisher collar, we can offer exactly what is needed to meet the government regulations. Our years of experience within the fire industry makes us a valuable partner in providing the very best products to get the job done. The Hospitality & Travel Industry is a broad category of different fields, which includes but is not limited to lodging, restaurants, event planning, theme parks, transportation and cruise lines. Materials such as lumber and steel are considered very durable. The tags and labels used on them must be equally tough. The need to identify inventory or track stock may be vital to your business. 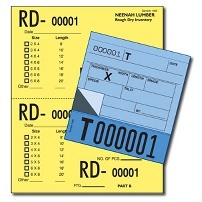 A tag or label with your product information including numbering and bar codes will make it faster to expedite your orders. Every manufacturer has to deal with the receiving of raw materials to the shipping of finished products. Each location needs to handle the demands of production while maintaining quality and safety standards. To ensure this runs smoothly, tags and labels of all sorts of materials, sizes, constructions and imprints may be used. The Medical Industry gives special attention to every aspect of what they do. 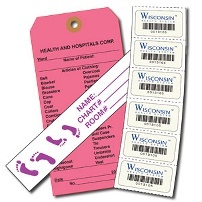 A tag or label can assist in identifying patients, taking samples, recording test results and maintaining equipment. 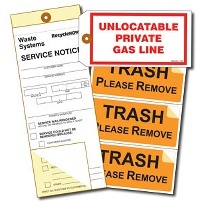 Both Utilities & Waste Management have the unique need to notify the public of services being performed as well as warn them of dangerous situations. Service notices, work tickets and business reply cards are among some of the fundamental items we produce for those industries. 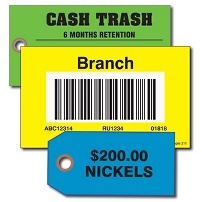 Tags and labels in the Retail Industry can be used for a variety of applications. They can be used to control inventory, promote sale items, handle quality issues and warranty concerns. 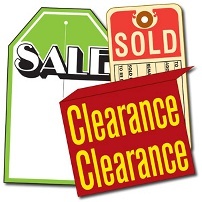 Tags and labels may also convey a specific message to the consumer, such as product disclaimers. The above samples and product markets are shown as examples and is not an exclusive list. If you don't see what you are looking for, please contact us at 1-800-451-7553 to discuss a solution that will fit your needs.